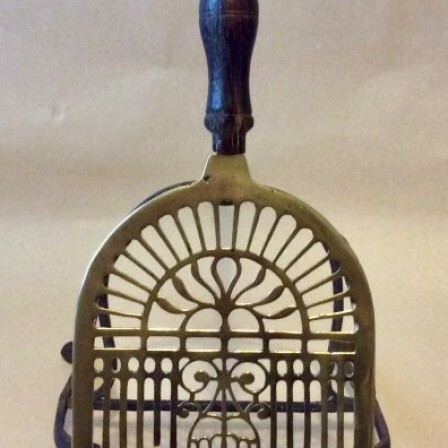 Description: Georgian trivet in excellent original condition. 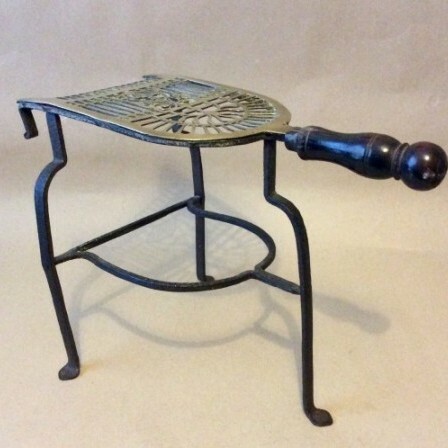 The finely cast brass top with pierced geometric design.The wrought iron base intact and stable. The rivets all look original and are solid. One tiny crack to an inner curved tendril on brass top. The turned oak handle well worn and patinated. 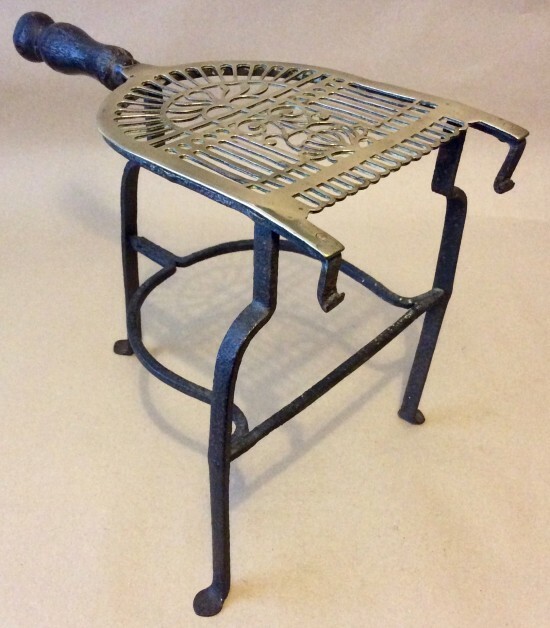 Has been on the trivet for along time but maybe an early replacement.